When you are planning a new construction project or making substantial changes to an existing structure, you may need to consider residential demolition services. It's important to carefully assess the state of the structure and determine the costs of needed repairs. If it's too expensive to repair a significantly damaged structure, it may be more cost-effective to enlist a demolition contractor to handle your residential demolition project in Ravena, NY. 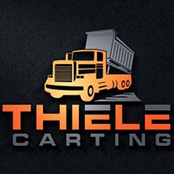 You can count on the experienced demolition contractors at Thiele Carting and Plowing LLC to provide you with the necessary residential demolition services. We'll clear away your structure so you can start fresh. Contact a demolition contractor in Ravena, NY and Albany, NY today. When you hire a demolition contractor for the job, you are also putting your safety first and protecting yourself from potential hazards. Get a free estimate on residential demolition services today.